I remember looking at the nutritional information many years ago on our favourite brand of Chili Sauce. The amount of sodium was ridiculous and this was way before we started eating Paleo. Cook the Onions in 2 Tbsps of Coconut Oil until softened. 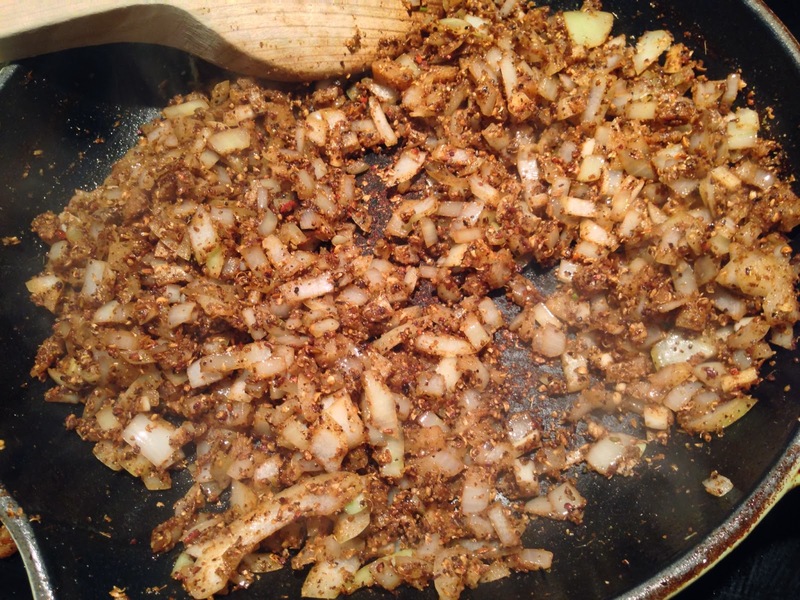 Add the garlic, chili powder, and mace and saute for 1 minute until fragrant. 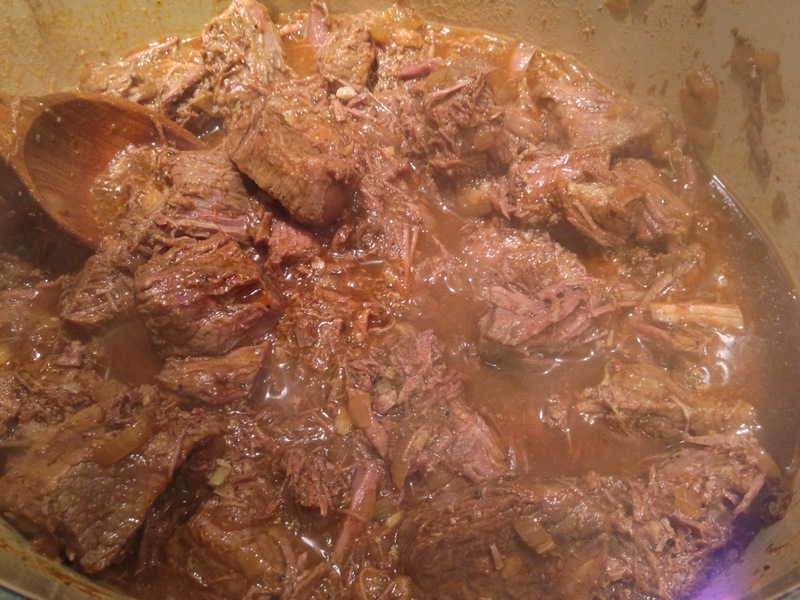 Add the tomato paste and cook for 3-5 minutes until the paste starts to darken. This really helps to develop the taste of the tomatoes. 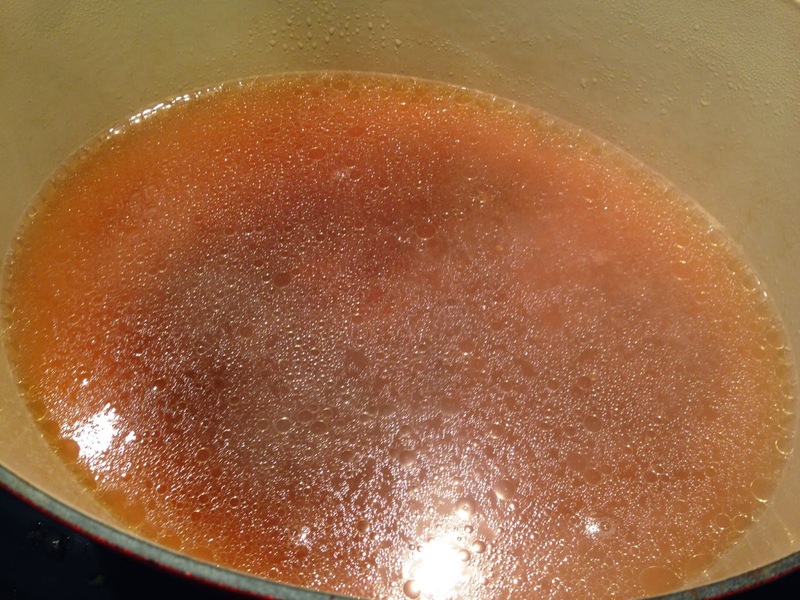 and simmer over low heat for 30 minutes until thick. 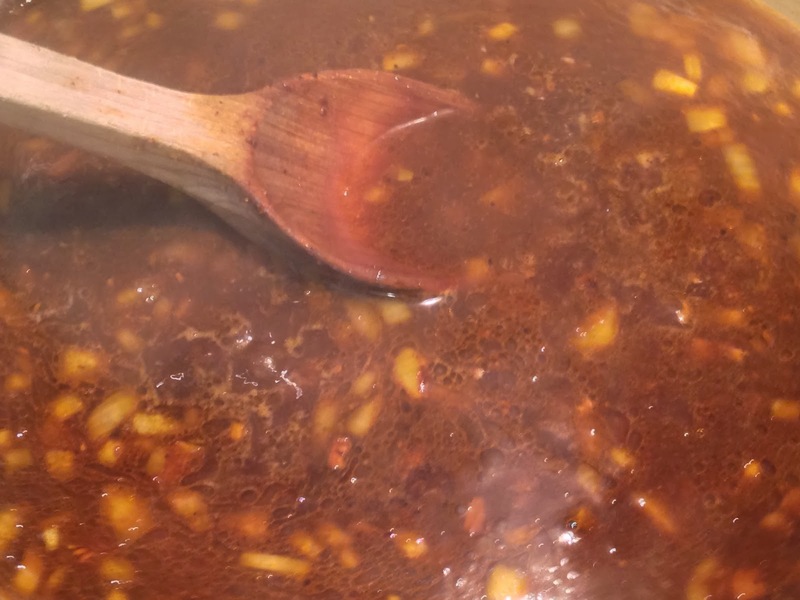 Stir regularly to keep the sauce from burning and season to taste with salt and pepper. This is great served warm as a dipping sauce or can be combined with horseradish to make a classic cocktail sauce. 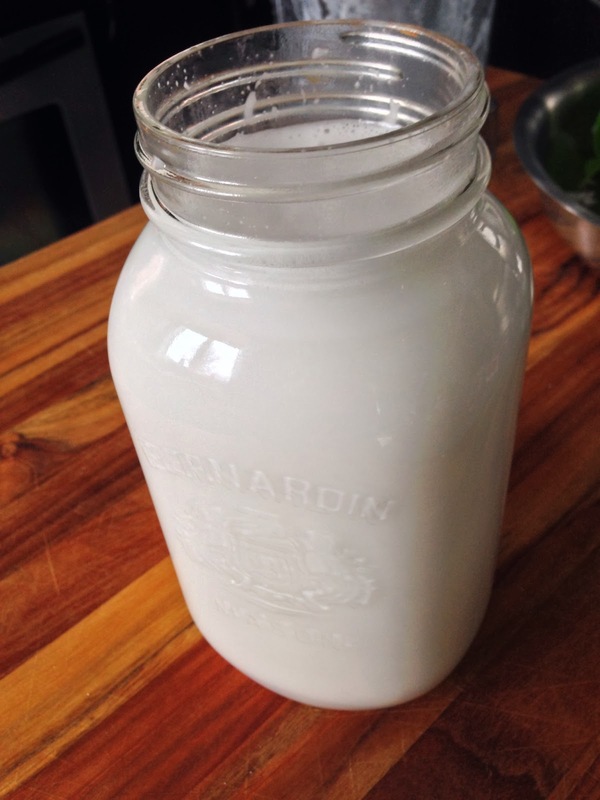 Coconut milk is a staple in our home. I always have a couple of cans on hand for an emergency, but often I have my own made in the fridge. 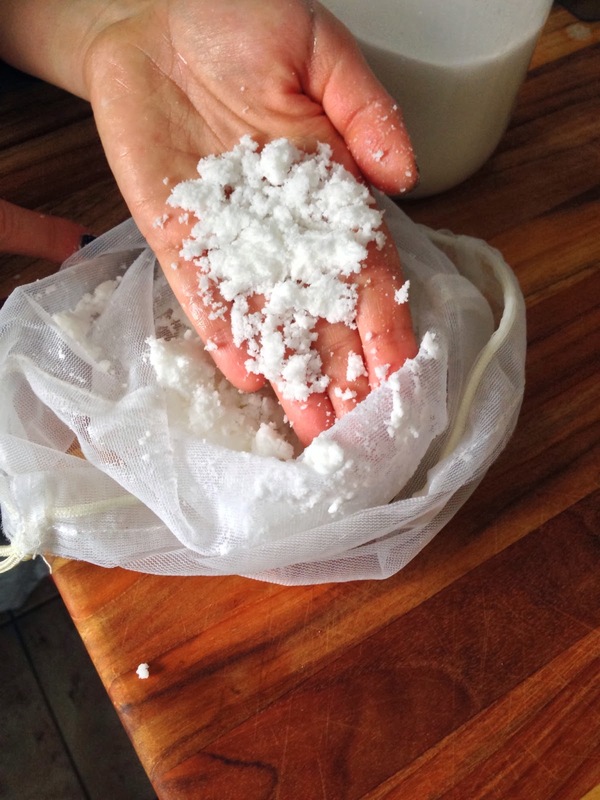 It's incredibly simple and very cheap to make if you are able to buy coconut at a reasonable price. 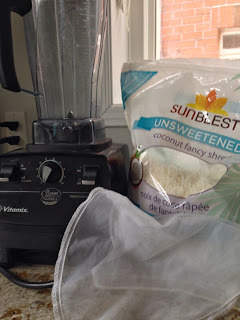 I've been lucky enough to find coconut at Costco and I snapped it up for $8. Cheesecloth or a nut milk bag; I use this Amazing Nut Milk bag and it's pretty perfect. Put water and coconut into a blender. 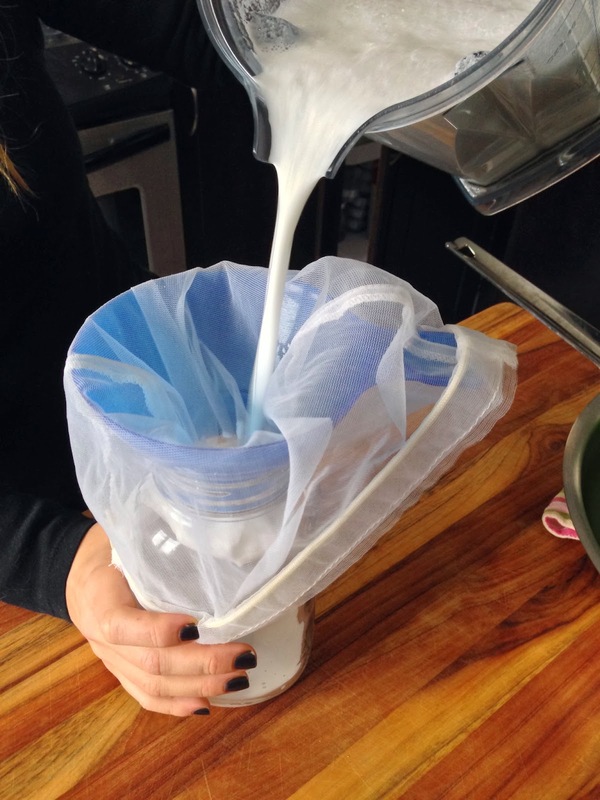 While it's blending, get your cheesecloth or nut milk bag ready. 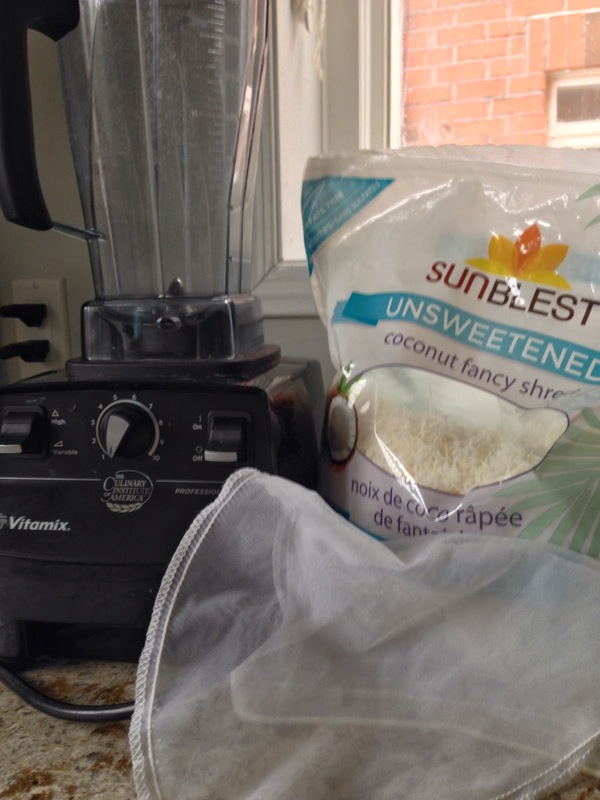 After 2 minutes pour the coconut milk over the cheesecloth or nut milk bag, catching all of the coconut pulp. 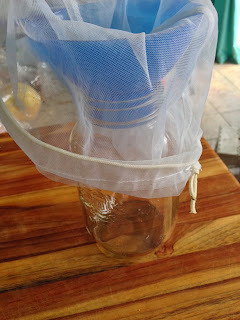 Refrigerate and use within 1 week. 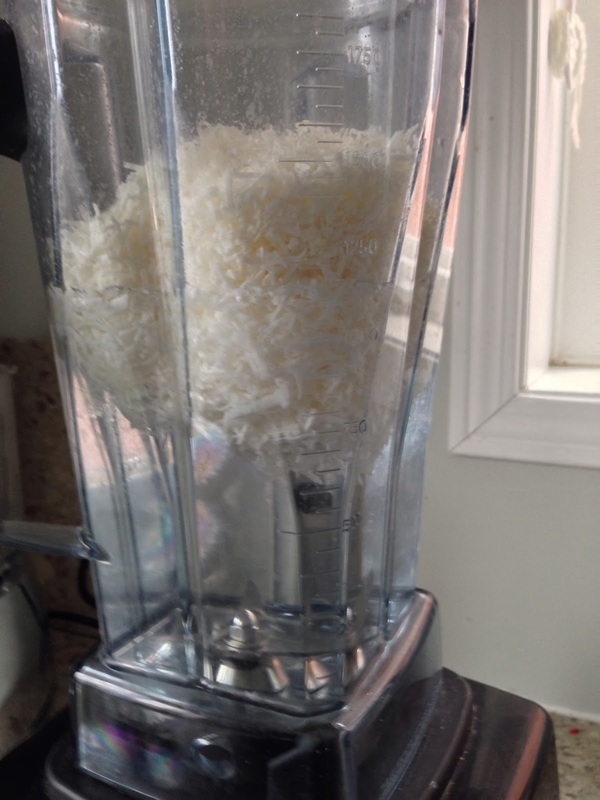 You'll have a lot of coconut pulp left over. 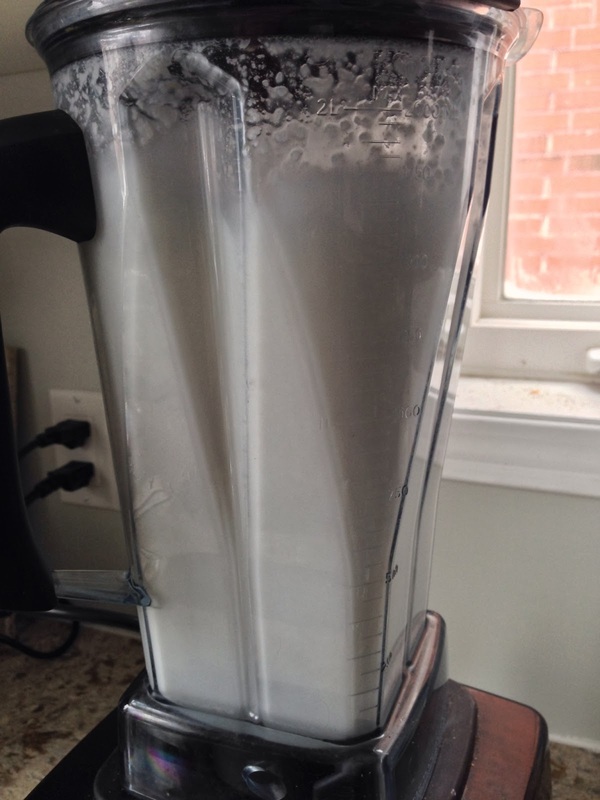 You can dry it out and use it as coconut flour if you wish. Or just eat it, which I really love to do! These were delicious for lunch with a nice side salad but would be great as appetizers for a dinner party or maybe even a latenight snack. The recipe that inspired this had a bunch of cheese; these were delicious without. I don't think they would reheat very well though as the moisture in the artichokes would make the bacon soggy if not eaten immediately. Drain and pat dry the artichoke hearts. 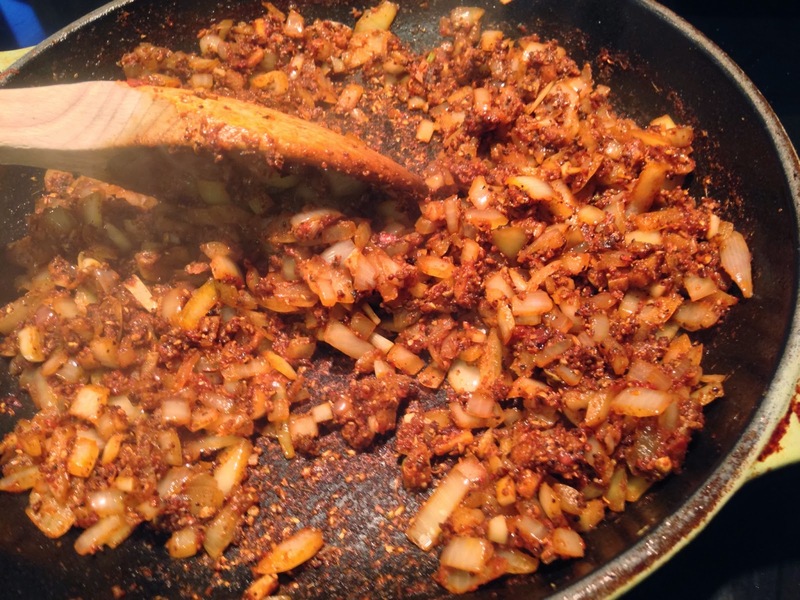 Heat a Frying Pan over medium heat and add 3 tbsp of your favourite fat (Bacon today). Add in the artichoke hearts and fry for 3-4 minutes a side until the exposed artichokes are golden and the bacon is crispy. They will spit quite a bit when turning as moisture is released from the artichoke hearts. This is the perfect topping for cottage pie or even on its own. 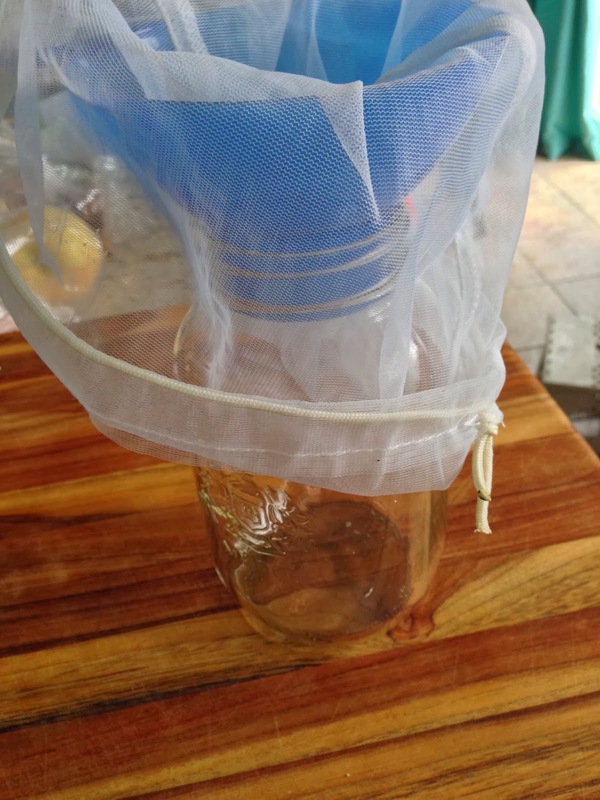 It's incredibly easy to do and always turns out great! Steam the cauliflower and sweet potato for about 10 minutes. In a small pot, warm the coconut oil, coconut milk and oil until the oil is melted and the mixture is warm. 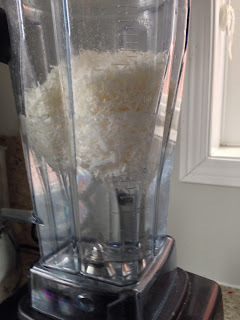 Place the steamed veg and liquid into a food processor and pulse until your desired consistency is reached. Season to taste with salt and pepper. Boiling and Roasting Brussel Sprouts seem to be the most common methods. I think the majority of people do not look forward to the boiled type and it's often easy to over roast brussel sprouts with all of their natural sugars. Slice the bacon into half inch slices and add to a cold frying pan. Turn the heat to medium-low. The cold frying pan allows the fat to more easily render off the bacon as we will be cooking the brussel sprouts in the fat shortly. While the bacon is getting beautiful and crispy, slice the brussel sprouts into 1/8 inch slices beginning at the top of the sprout. Continue slicing until you reach the base. You will convert the 2 lbs of brussel sprouts into a nice big pile before you're all done. When the bacon is crispy and golden remove it from the pan and save for garnishing (About 15 minutes). As you are the chef, you are entitled to your share of bacon bits at this stage. It will take 5-10 minutes to cook the brussel sprouts at this stage. When ready, heat the pan to medium-low again with the bacon fat still in the pan and add the brussel sprouts. Season with salt and pepper. Stir regularly to avoid any burning. Keep stirring until the brussel sprouts become translucent and just start to brown. Add any remaining bacon bits and enjoy. With some simple and delicious ingredients, you can make the best guacamole at home in about 5 minutes. It's great with veggies, meat, or obviously chips if you feel so inclined. Also, with the amount of lime juice added, this will keep for a few days with becoming brown. Sprinkle with 1 tsp of salt and add black pepper to your liking. Squeeze in the juice of two limes. It may seem like a lot but I really like the citrus flavour and find it cuts through the rich avocado nicely. Stir to combine and break up any large pieces of avocado if you'd like a finer texture. I love scrambled eggs. Sometimes there's nothing better than a plate of fluffy, glossy eggs. These just require patience and being watched the whole time. Melt the butter in a pan over medium-low heat. When the butter is melted, add the eggs into the pan. Continue stirring the eggs until they come together as large curds and are cooked to your liking. 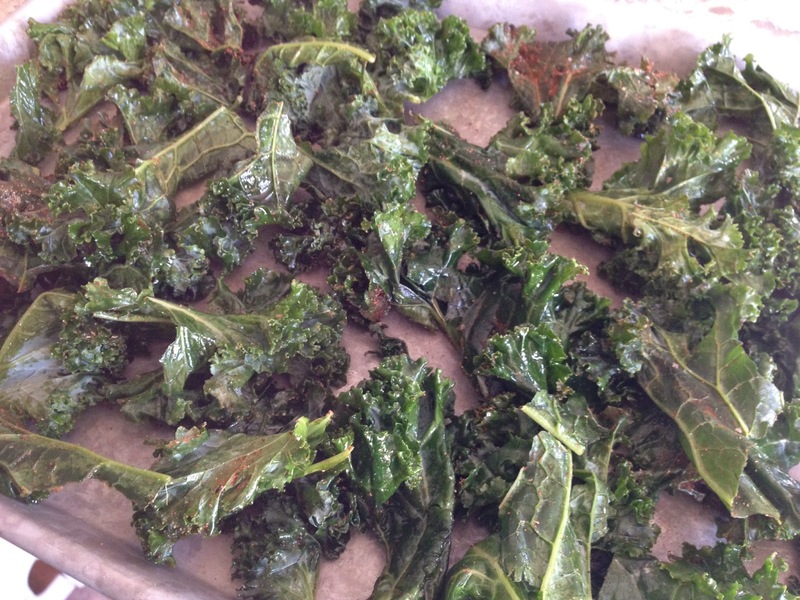 We love kale chips. They're, in my opinion, a delicious way to get your greens. Even our four year old requests them. All.the.time. Tear your kale off of the stalks and into small pieces. Place onto a baking sheet. 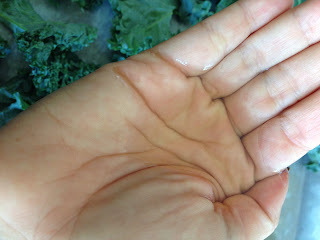 I'm terrible at measuring, so I just pour some avocado or coconut oil into the palm of my hand and rub it on the kale. Really massage the greens to make sure they're all covered in oily goodness. 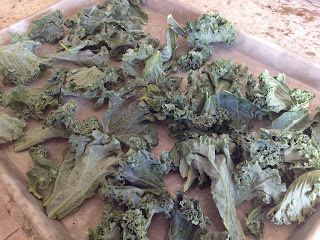 Mix the salt and chili powder together, sprinkle over kale and rub with your hands again. Bake for approximately 12 minutes or until crispy. 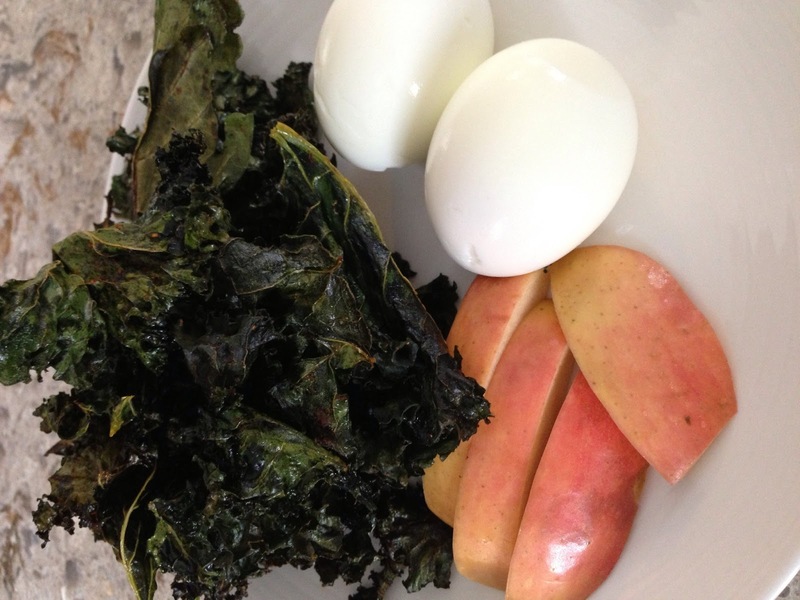 A simple but not so quick breakfast that's healthy and tasty. The flesh of the avocado acts as an insulator so it takes a while for the egg to start to cook. Half and remove the pit of an avocado. Scoop out enough flesh so that you can crack an egg and place it in the hollow. Let me stress, take out more flesh than you think or you'll wind up spilling the egg like I did twice. Season the cavity with salt and pepper. Crack an egg into the cavity and season the egg. Place in oven either directly on the rack (It works well as the rack supports the round shape) or on an oven safe dish. Bake for 20-25 minutes until cooked to your preference. 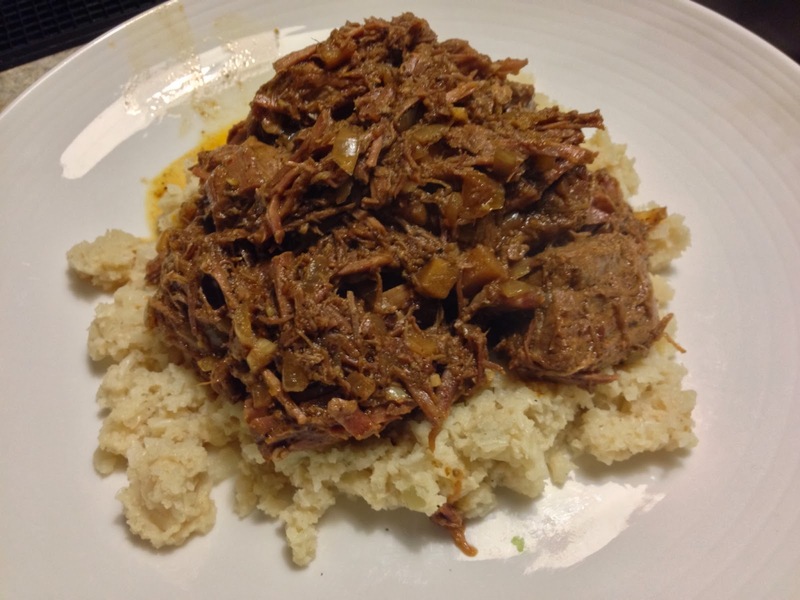 A quick, delicious, and fragrant dinner recipe that uses ingredients that we normally have in the house. We are fortunate to have some frozen artichoke hearts and frozen leeks from our last stock up at Trader Joe's. It's really a shame that there aren't any nearby as the products they have are excellent. Add in Chicken, Capers, Lemon Juice, Lemon Zest, Artichokes, and season to taste with salt and pepper. 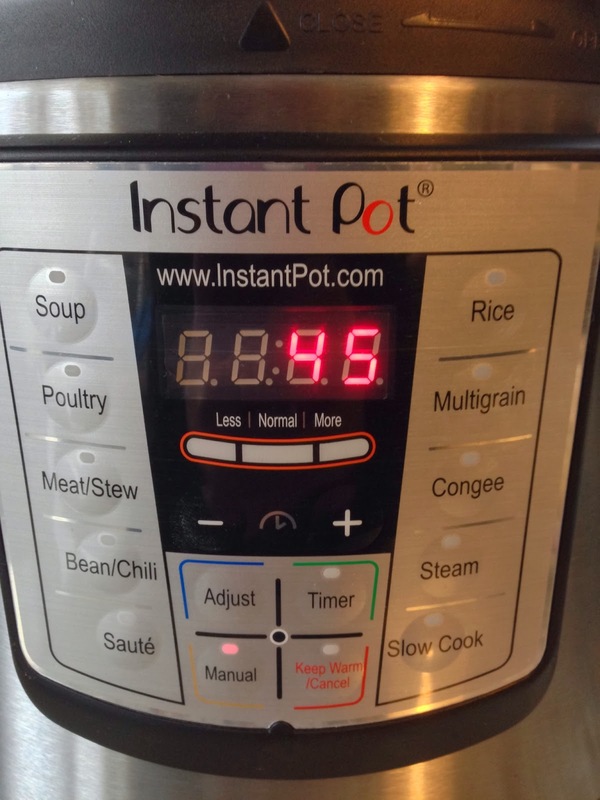 Place in oven and bake for 35-40 minutes until chicken pieces register 165F on an instant read thermometer. Serve warm or enjoy the next day after the lemony flavour mellows a little. Growing up on the East Coast of Canada, one of my favourite restaurants to eat at was St-Hubert. It's one of the two large 'chicken chains' in Canada and is now almost exclusively located in Quebec. The reason for my love of St.-Hubert? Their Sauce and their incredible Vinegar Coleslaw that also happens to be all you can eat. 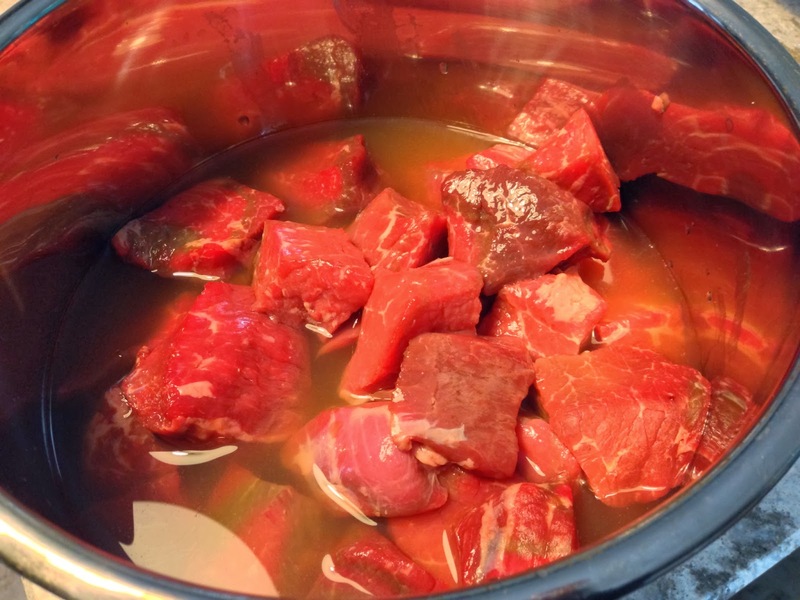 Bring the spices, vinegar, and oil to simmer in a small sauce pan. Pour the hot liquid over the shredded cabbage and carrots and give a stir while still warm. Let sit for at least 15 minutes (ideally overnight in the fridge) to let the cabbage wilt a little and to let the salt and spices do their work.